Done! Thanks, Karl. It appears as part of the 'related build threads' collection via the link in the Related Content section at the bottom of the page. That's nice to see old release reviews. I agree 100% with the conclusion. I have 3 or 4 of these little kits with a few Mig-17 as well (i take one sometimes when i need to spend a few more $ to get free shipping ! ), they are VERY cheap and certainly a very good base despite the few shortcomings. Indeed the HPH kit is way better on every points but it's a bit more intimidating and of course about 10X more expensive. Nice review, and excellent images. It may just be my imagination, but I'm sure there existed a number of MiG-15s and -17s, especially the latter, with a more gently sloping, thicker armoured windshield more akin to the Trumpeter parts. Agree with Zero that the Fresco is a great little model, and there still exists a great amount of AM for both the Trumpeter '-15 & '-17 kits, e.g. the problem with the windscreen is that its correct for the 2 seat UTI, the BIS is shaped very differently. I have the squadron vac for my build. By the way, about 10 days ago i bought the recently released "Famous Russian Aircraft" about the Mig-17 by Yefim Gordon, and it's a gem. Apologies for the "red herring"; yes, you're right! It's a Polish MiG-17PF that is on the build list here and dominating my thought patterns. Shawn's vac form option is probably the best route for the -15 'Again' version. Always wanted to do a Finnish MiG-15UTI and Designer built one kitbashing the MiG-15 and FT-5 kits, so maybe it's back on the table. Am after a copy of Yefim Gordon's history of the PVO but can't find one anywhere (except for silly money). His books really are superb. 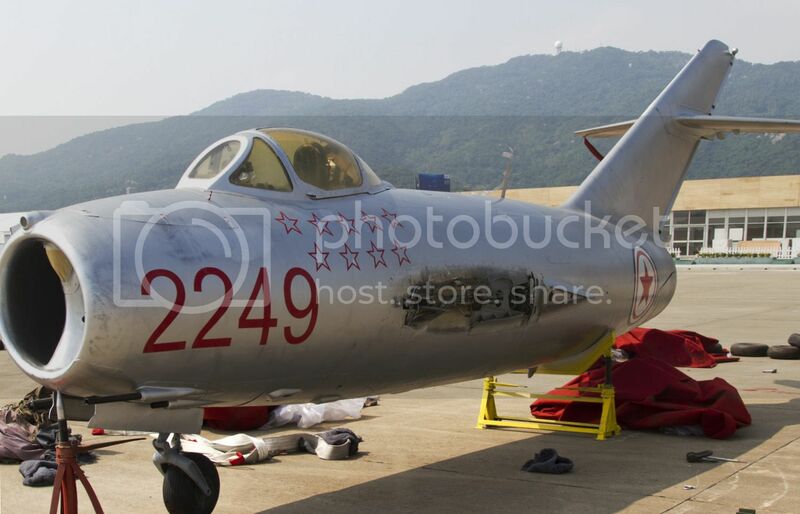 The Mig-15 UTI is certainly one of the cutest jet ever. It's a shame there is not a standalone kit of it. I also have the same project or cross kitting a Mig-15 and a FT-5. I think it's still possible then to build a Mig-17 with the remaining parts. My point exactly. I don't think any kit should be dismissed "out of hand", because it doesn't live up to a higher standard. The HpH kit, while appearing to be very nice, is way too expensive for my current budget. Since the Trumpeter kit was given to me, I've decided to make a go of it (again), and see what I can do with it. I've already accumulated a few things for my kit, and will soon be ordering some more stuff. I'm confident I can make this work. As to the windscreen, I never noticed a slope difference, but I'll look into that. That is one from the series that I do not have, but would certainly like to get my hands on a copy one day. I have a few of the Famous Russian Aircraft books, and they are indeed awesome. Yep, it's an oldie alright. Our current thinking is that any review is better than no review at all, so when I was given this kit, the first thing I did was to check the review database. Sure enough, it wasn't there, so I decided to add it. When I bought my first kit, I was quite content with what I saw. 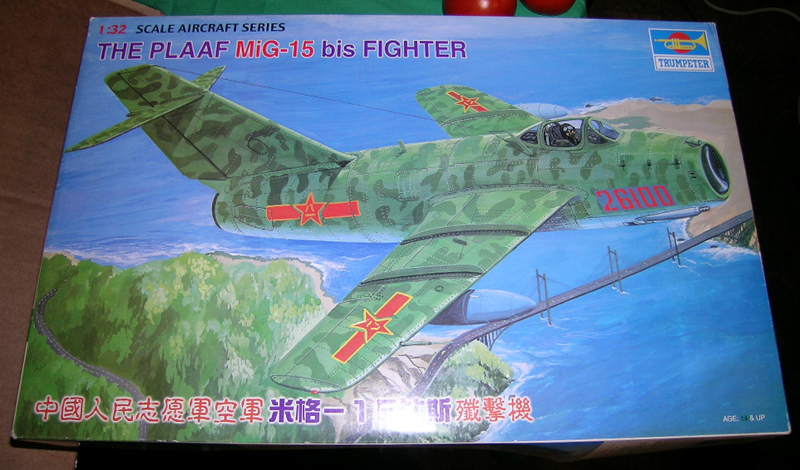 Though certainly not on par with Tamiya or some other established firms, at least it was a 1:32 MiG-15. The only real issue I had, was when I began looking at the windscreen. I pulled some references, scratched my head, and wondered what they were thinking. Some have made vague comments to the fact that the tail and wings are all fouled up too, but no one has offered up any specifics in that regard, at least that I am aware of. Easy enough to figure out. Lay the wing upper surface part down on a piece of paper and trace the outline with a sharp pencil. If you do that, and scan it (400 dpi) and send it to me, I'll pop it into Illustrator and tell you if they screwed up the wing sweep as I seem to recall it being said they did. You have to measure the 25% chord line, which should be at a 35Ëš sweep angle (*not* the leading edge). I may take you up on that, J. The comment that I specifically recall, is that the trailing edge, flaps and ailerons are all messed up. I have no idea what he was referring to, and no elaboration was offered. I know Grey Matter offers a new resin vertical tail, but I have no idea why, again just comments like the tail is all wrong, but again, no reasons as to why that is. When I get further into my model, I'll be eyeballing all of my various references (about 12 books), and see if I can discover what all the mystery is about. I seem to recall (we're going back like 18 years here) that when I taped the major airframe parts together it didn't pass my "eyeball" test. Just something about it. I never did any detailed measurements.